This DIY is also from the TV4 morningshow. 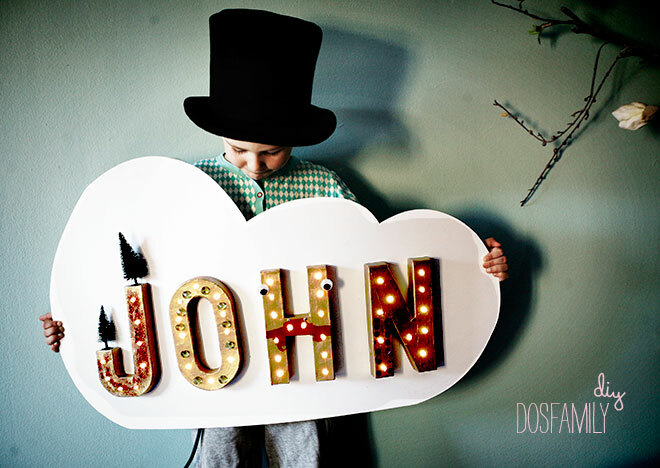 John was one of the kids with me that day and we made his name as akind of marquee light. I bought letters in cardboard. John paintend them gold and glued fun stuff on top. 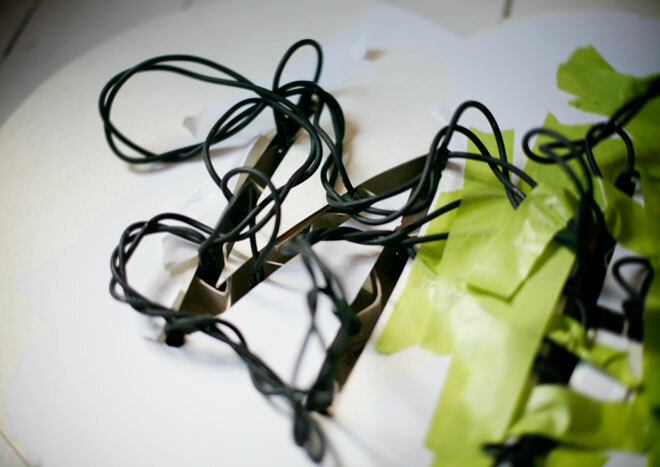 The I simply cut off the bakside of the letters and made a big enough hole to push trough the LED strand – lamps. Since the strand was so massive I glued, with a glue gun, all the letters on a bigger sheet of white cardboard that I already had cut in the shape of a cloud. That made it possible to hide all the cords at the back of the cloud. I naturally had to cut the cloud in the shape of the letters to get the cords through. I then just rapidly attached all the cords with some tape. It would also have been nice to do a cardboard side as in this marquee star I showed to you yesterday.